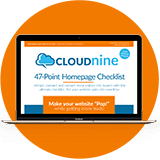 For the past decade, the need for the Yellow Page has been in a steep decline. Me myself, I look up phone numbers by saying Ok Google, call Pizza Hut, and my Android phone automagically dials Pizza Hut. Well, I'm here to answer the question once and for all, Do we still need phone books in 2016? The answer is ABSOLUTELY and I'm going to show you why below. 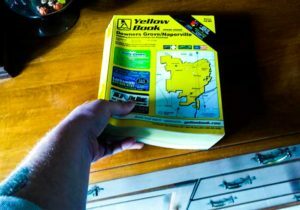 If you often find yourself parking your car on a steep incline and are worried about the car rolling backward, well then you definitely need a phone book. The more populated the area the better in this case. Phone books are easy to store in your car and are ready for your use whenever parking on a steep hill or driveway. 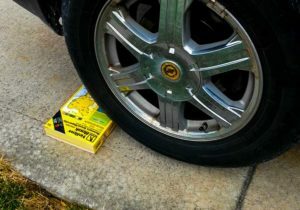 Just take that phone book and cram it under the rear wheel of your car. This will wedge between the tire and the road/concrete, preventing your car from ever rolling backward! Ever find yourself with an important document that's been folded, creased or crumpled? No problem! Just take that big ol phone book you have lying around and blow the dust off. Were about to make history! Because you have a document you need to be nice, crisp, and flattened again. 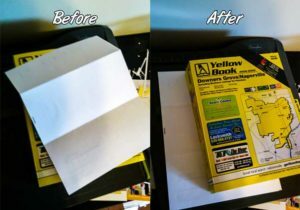 By taking the monstrous bright yellow book you have lying around full of wasted marketing dollars and laying it on top of the creased, folded or crumpled paper. The weight of the phone book will compress the paper back into its original form. It won't be perfect, but were really struggling to find a reason to keep a phone book here! 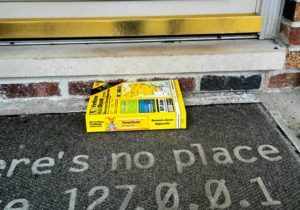 If you find yourself battling bugs, insects or annoying people at the office go find that phone book lying around. Don't worry, you can't miss it. Just look for the largest book you own that is also a bright yellow color that can light up the darkest of caves. Because something or someone is pestering you and you must.MUST.squash them. Set on a seek and destroy mission for the pest. Once that little bugger is in your cross hairs carefully and quietly lift the phone book. If what you're planning to squash can't see a giant, vibrant yellow object in close proximity, then you're set. Quickly slam the book down on the pest and *BOOM*, you've just squashed it with success. 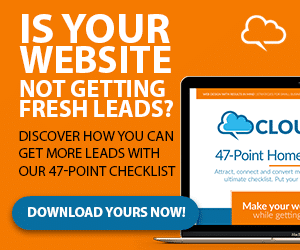 Need an extra step up? Sometimes you just wish you had an extra step to make things easier. Maybe you have someone with little feet and they just need a little help. 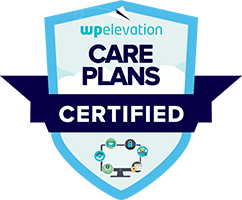 Well, go dig out that phone book, because we've got a way to get you a step up which is great because that's a higher reach than the phone book has given anyone in a decade! Because sometimes you need an extra step up. Simply take your giant phone book and tuck it up against the step you're trying to make less of a stretch. Have a whole staircase with steps that are too high? That should be no problem! Find your neighbors, family or friends. They all have phone books they're no longer using. They'll be glad to give them to you! 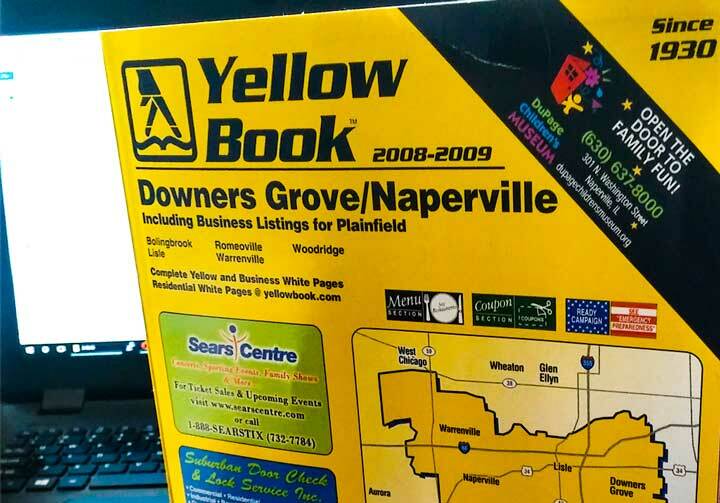 Of course, this was just to poke a little fun at how outdated the Yellow Pages is with how easily accessible information is online. But maybe we really should take a moment of silence to show respect to all of the companies that are still investing in this outdated marketing technique. 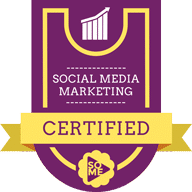 And really, if your target demographic still uses the Yellow Pages, then you'd be missing out on an opportunity not to support it. 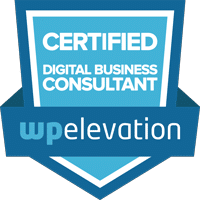 If you're ready to really take your business to the next level and come up with a strategy that's designed for success in 2016, we'd love to chat with you.